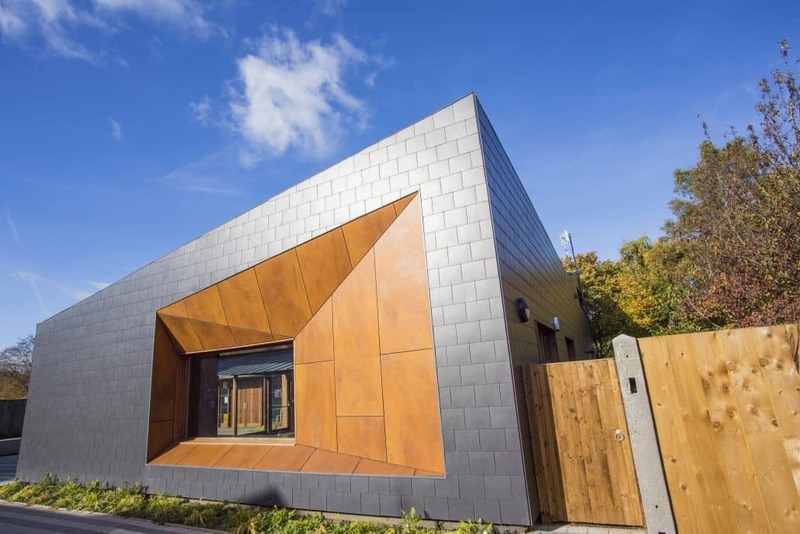 Young people in Hampshire are benefitting from a brand new community hub combining stand-out design with increased functionality. 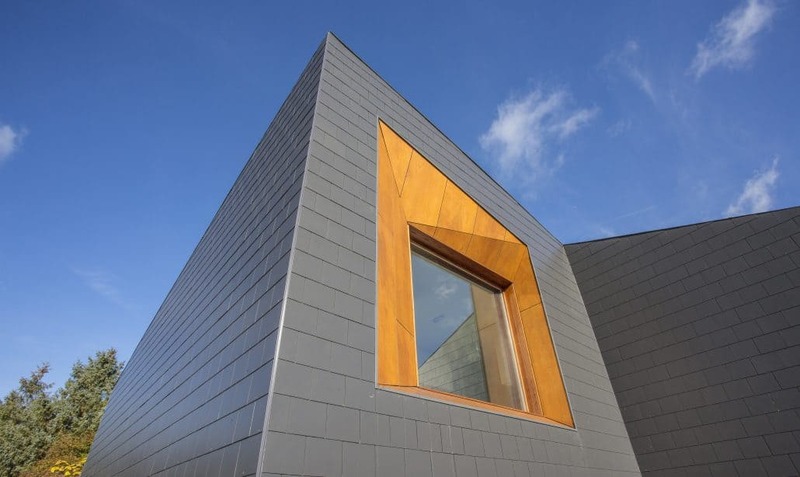 A highlight of the unique build is the seamless blend of roof and facade achieved through the specification of Thrutone Fibre Cement Slate from Marley Eternit. 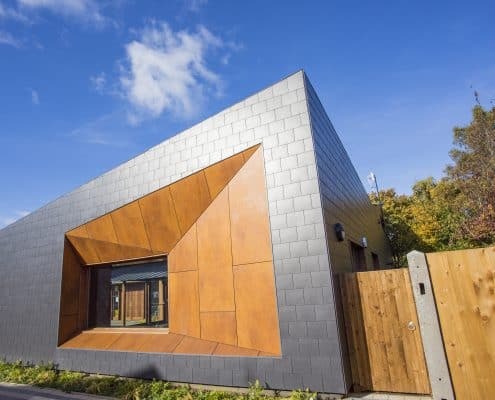 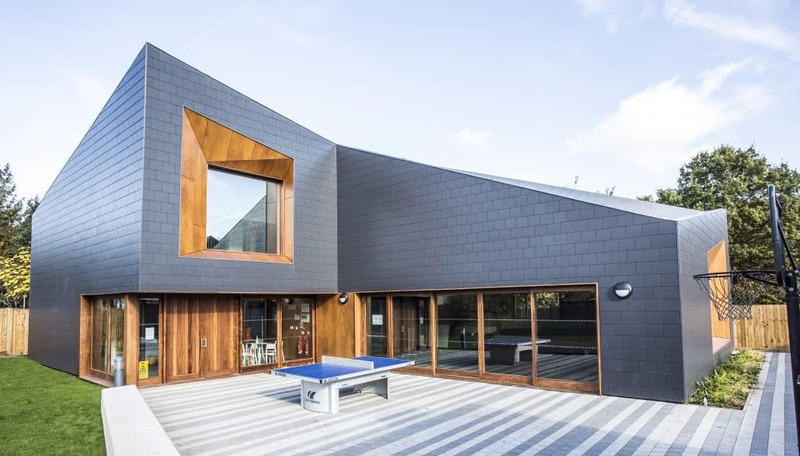 The Point, an award-winning two storey youth centre in Tadley, saw architects Ayre Chamberlain Gaunt enlist the help of local young people to collaborate in the design of the striking building, complete with dark grey exterior. 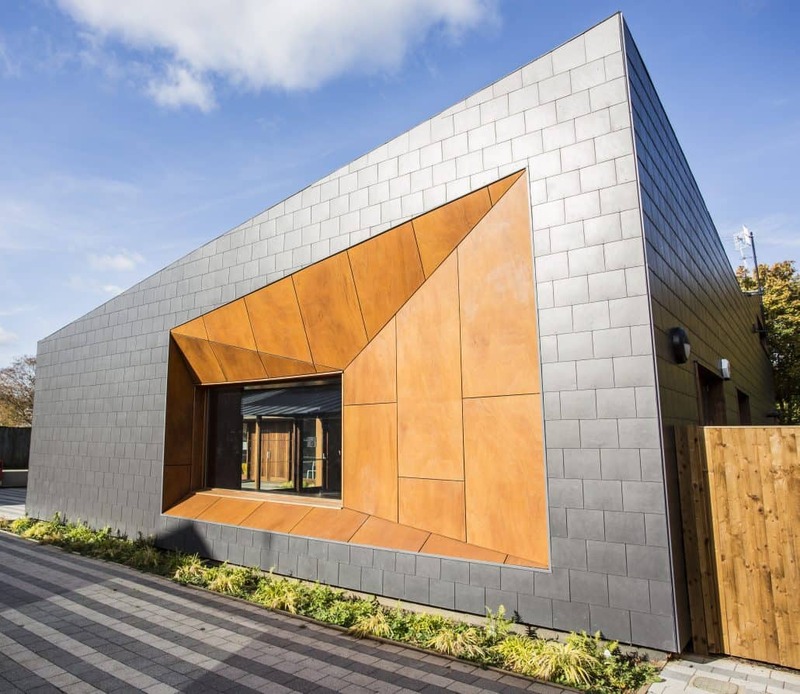 Oliver Wood, Associate Director at Ayre Chamberlain Gaunt explains the brief behind the project, he says: “We wanted to create a landmark building that would serve local young people, while also being at the core of the wider community. 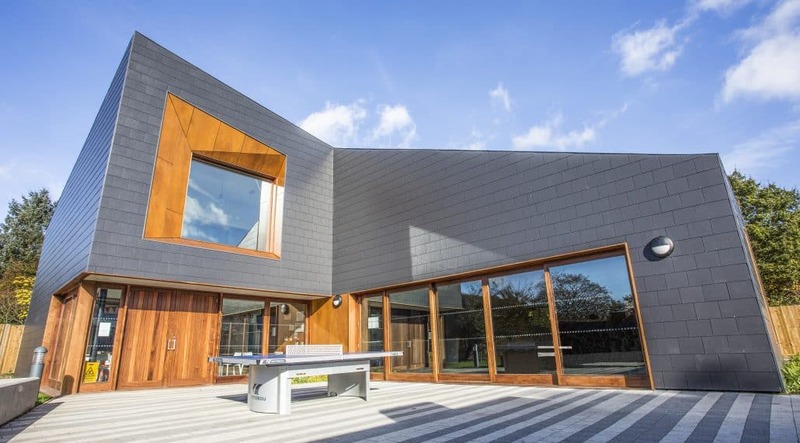 Yet, we also wanted to challenge the status quo of youth centres by creating a truly original building, designed in collaboration with the very people who would be using it. 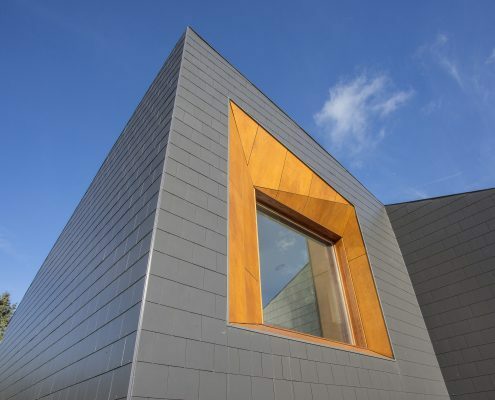 To deliver its contemporary stand-out design, the architects required a roofing solution which could also be used on the building’s facade to create a seamless exterior finish, delivering maximum aesthetic impact. 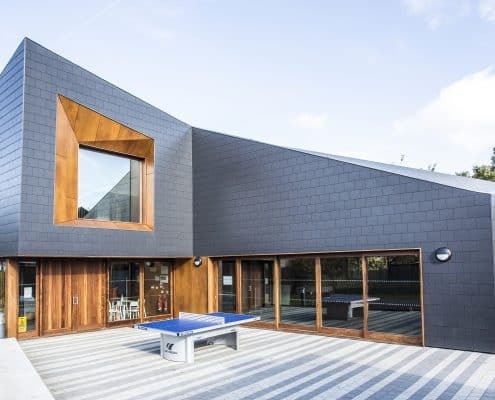 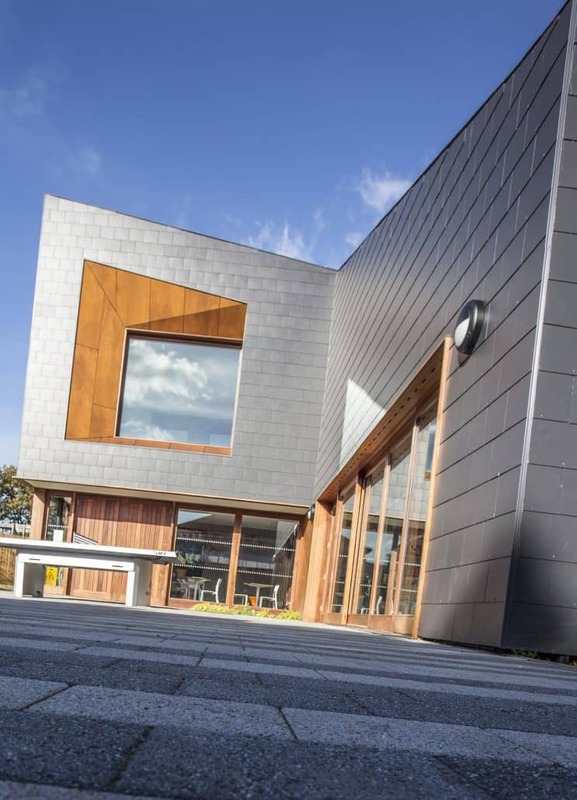 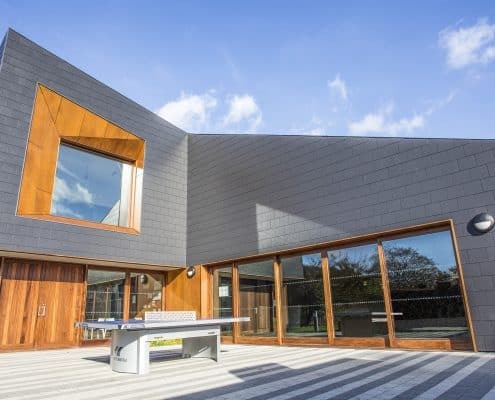 In response to the bespoke brief, Thrutone Fibre Cement Slate from Marley Eternit was specified; providing a smooth dark grey appearance to deliver a strong visual appeal, while its lightweight properties meant it was suitable for use on both the roof and facade. 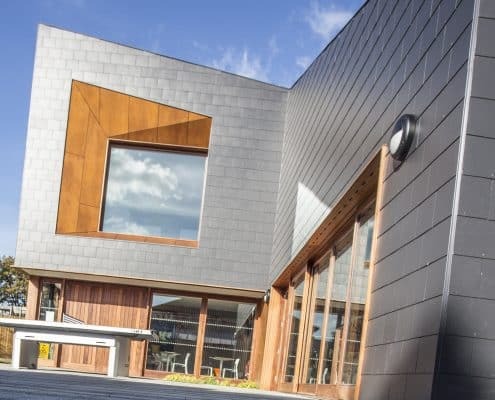 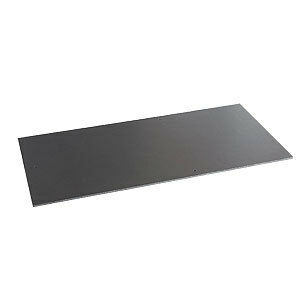 Furthermore, Thrutone Fibre Cement Slate offers an impressive minimum pitch down to 15°, while also achieving BES 6001 ‘Very Good’ rating to gain credits under BREEAM and CFSH, and is a 100% recyclable building material. 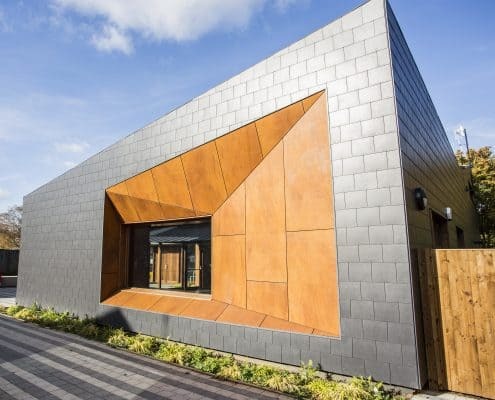 Testament to The Point’s unique design, the £860,000 project, which can hold up to 100 young people aged 11 to 19, was awarded the RIBA Journal MacEwen Award which celebrates architecture for the common good.